Our process engineers and experts assist you in evaluating new processes and products, and in establishing the right parameters for product guarantees. The ANDRITZ Asselin-Thibeau technical center in Elbeuf, France, comprises a pilot needlepunch line in industrial scale. The ANDRITZ Küsters technical center in Krefeld, Germany, has a wetlaid/wetlace pilot line, production and pilot calenders, as well as various wet finishing machines. 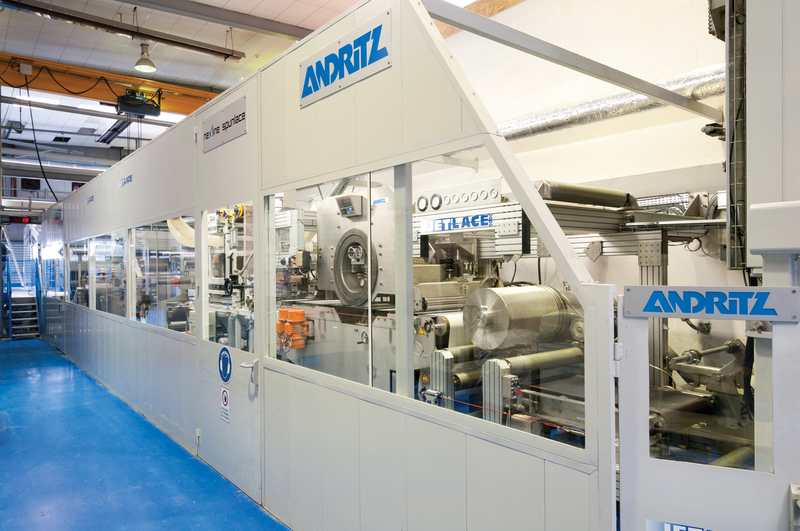 The ANDRITZ Perfojet technical center in Montbonnot, France, is fully equipped with spunlace and spunjet pilot lines. The ANDRITZ Wuxi technical center in Wuxi, China, comprises an industrial scale needlepunch pilot line.